While embracing the rich traditions of Ashley Hall, we envision a campus that boldly meets the needs of the twenty-first century student. Five distinct projects are underway, or scheduled, that will support the School’s unyielding focus on the programmatic experience and enhance our thriving campus in the heart of historic Charleston. See below to review each project. Offers: Admissions Welcome Center; additional learning space dedicated to the humanities and languages. The Need: Improve student recruitment with a full-service admissions suite featuring light-filled testing areas and a hospitable conference room; two learning spaces that provide a more flexible innovative environment for twenty-first century learning; and a living laboratory with a full-service kitchen to enrich programming throughout campus. Offers: Final touches to the recently renovated Pardue Hall include installation of flooring, acoustical enhancements, and the addition of furniture that increases the functionality of this spectacular collaborative space. The Need: Through direct faculty input, the final stages of this renovation addressed our commitment to every student and instructor by fully equipping this space and setting the stage for an extraordinary learning environment. Offers: Five large fully appointed classroom spaces and an additional 1,000 square feet dedicated to a state-of-the-art science and math innovation laboratory. The Need: Larger and improved classroom spaces for Intermediate Program students. Offers: 6,000 square feet of repurposed space which supports an already robust program tailored to each Ashley Hall Upper School student, from wellness programming to college counseling. The Need: Enhanced personal counseling and dedicated college preparation. Offers: Expand the number of science laboratories with the addition of two new state-of-art laboratories on the third floor of Jenkins Hall; renovate current space on the first floor. The Need: Critical science programming and space enhancements. 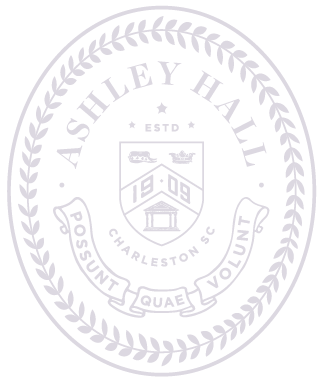 Your support is critical to the success of each Ashley Hall student.